Finally, I've added another product to my TPT store. I have slowly been going through the If you give a ...... books and creating circular story maps. 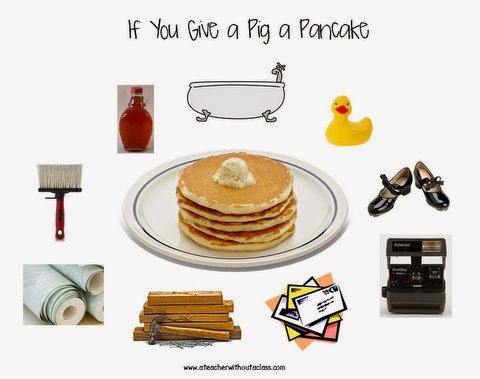 My latest is If You Give a Pig a Pancake. I thought I would also share my yummy pancake recipe with you! It is super easy, and super yummy! We have these every morning during school. I usually add a bit more milk, and also use whole wheat flour. I also just heat up some frozen berries for homemade berry syrup! A great breakfast for school! 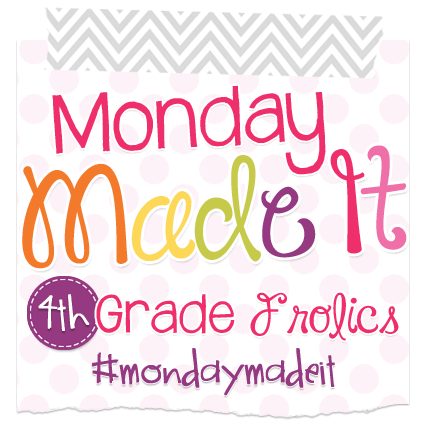 Find some great ideas for school at Monday Made It with 4th Grade Frolics. If you want some yummy recipes--go to Eating and Linking! She has some yummy cinnamon rolls posted! Your story maps are adorable! I use almost the same pancake recipe but add a dash of vanilla to it!